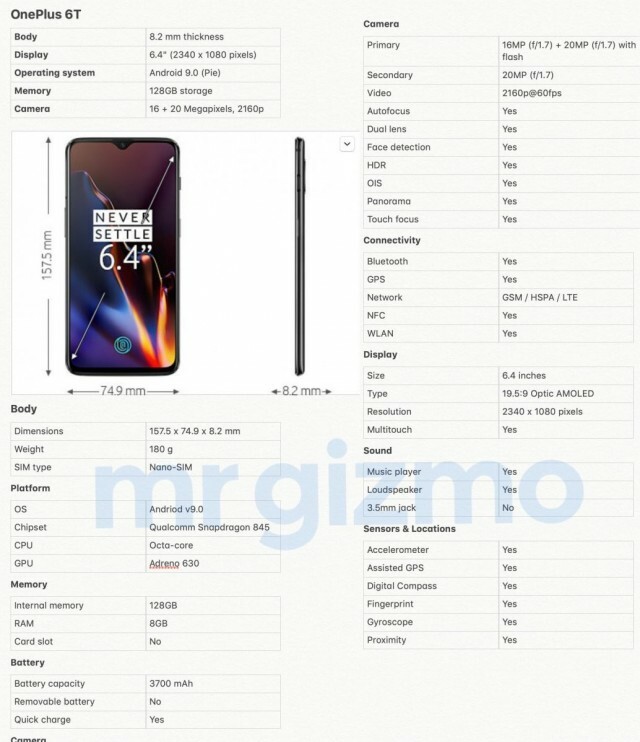 Well, the OnePlus 6T isn’t exactly the most secretive phone out there as recent leaks revealed pretty much everything there is to know. However, the specs sheet that popped up on Twitter fills in the gaps, confirms what we’ve already suspected and sheds light on some minor details. Here’s the full specs sheet. 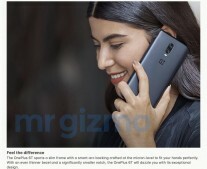 Right off the bat, we see that the new model is about 2mm taller than the OnePlus 6, slightly narrower and a tad thicker but in exchange offers more battery and bigger screen. 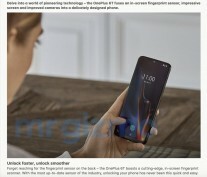 The minimalist notch will surely give you more screen real estate as well. The camera department is finally confirmed to be the same as the OnePlus 6 and that’s not necessarily a good thing. OnePlus may have worked hard on the software optimization but having the same camera setup means there are still no telephoto or wide-angle lenses. The selfie camera gets a bump, though, as it has a wider aperture and higher resolution than the previous generation. We are just a few days away from the official unveiling and in the meantime, here are a few marketing images to give you a better idea about the design.